ISLE OF MAN – Microgaming ventures on a rewarding odyssey in Ancient Fortunes: Zeus, developed exclusively by Triple Edge Studios, the creative team behind Book of Oz. 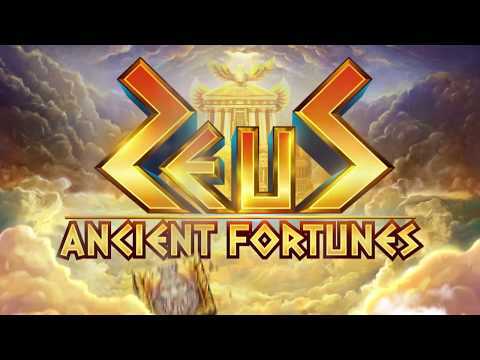 Ancient Fortunes: Zeus is a striking Greek mythology themed slot, expertly crafted by the team at Triple Edge Studios. Combining the Rolling Reels™ mechanic with bidirectional paylines gives the game an electrifying edge, amplified by a multiplier trail boosting potential wins. The engaging free spins feature, which can be retriggered, sees the action and wins soar, with a maximum 21x multiplier, offering big win potential. Rich in rewarding features and stunning visuals, players ascending to Mount Olympus are in for a truly legendary gaming experience. We are delighted to part the clouds to reveal Ancient Fortunes: Zeus, set in the rich and enchanting world of Greek myth. The king of gods and gold takes centre stage in this premiere outing, featuring intricate hand-drawn artwork and an epic soundtrack that really brings the immersive realm of the gods to life.